HO HO HO! It’s finally that time of the year again. A time for joy and fun, because the first term is done! 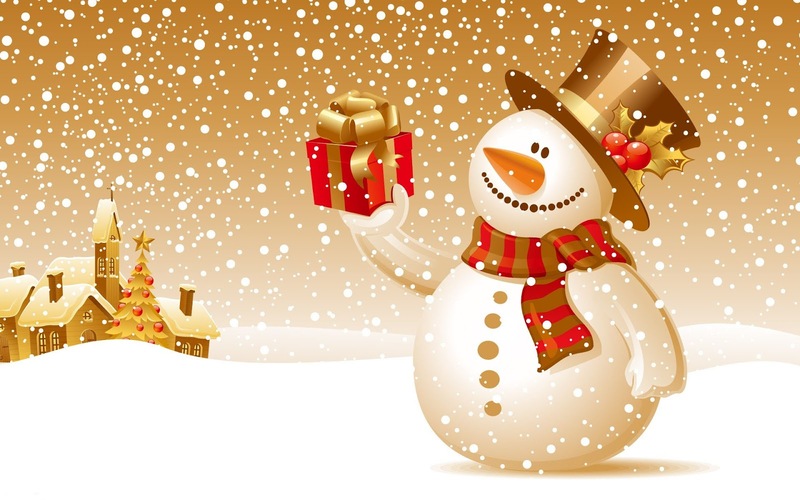 Christmas is one of the most festive holidays celebrated by people all around the world, no matter what religion or race they are. Besides honouring the birth of Jesus Christ, this lively festival manages to bring people together and strengthen the ties of friendship with one another. This year, Cempaka Damansara decided to do so by having their very first Christmas assembly which was definitely one worth remembering. Before the sequence of performances, a few Cempakans consisting of our primary students were awarded with certificates as well as scrolls for their outstanding achievements over the term and the recent World Education Games. Many of them managed to overcome their challenges and competitions with flying colours. Following that, was the gift giving or “Secret Santa” which were given by a few primary children, in colourful costumes such as Santa himself and Santa’s Little Helpers. The assembly started off with the schools orchestra consisting of mainly secondary students and a few teachers. They played a delightful tune of one of christmas carol called “Oh Holy Night” mixed together with another melodious song. Next was the Cempaka Voices, a group of talented secondary students who sang their hearts out in a medley of different songs which really portrayed the essence of Christmas, which altogether was called “The Gift of Christmas”. Following that enthusiastic performance was a cute Christmas themed dance performed by the Junior Dance Ensemble. They leaped and pranced all over the stage and definitely caught the audience’s attention. After that was the CPAC teacher’s performance, which was the most unique out of the array of shows prepared for the assembly. The CPAC teachers managed to astonish the audience with their simple yet complex harmonisation as well as returning to the christmas classic’s. The finale was once again the talented Cempaka Voices, which sang a few modern joyous christmas songs as well as took a twist on the song “Jingle Bells” and sang it in French! This certainly ended the first ever Christmas assembly for Cempaka Damansara with a bang! After the amazing performances, Puan Farah, the Senior Principal of Cempaka Damansara presented a speech regarding Cempaka Damansara moving back to their new home. Continuing that after singing the national anthem, Dato Freida gave her final speech of the term to close the Christmas Assembly. Overall, this assembly was a great way to end the first term and will most certainly be a memorable one, not only because of the joy it brought but also the message it gave. As a famous quote says, “Christmas is not as much about opening our presents as opening our hearts”. It is a dream to achieve our goals in life. Once we succeed, however, it is a must to give back to society. The fundraising campaign held by the IB students for the trip. This year, 23 of our very own Cempakans, along with 4 teachers will be going to Mumbai, India as part of a voluntary service programme to give back to humanity. This 6-day trip is an event organised by our Cempaka International Baccalaureate Diploma Programme (IBDP) as a major part of their Community, Action and Service (CAS) component of the course which requires students to fulfil 30 hours of community service work. Packing boxes of necessities for the trip. During this trip, the students will visit under-privileged areas in Mumbai, participate in charity events and donate food and basic necessities to various organisations within India. 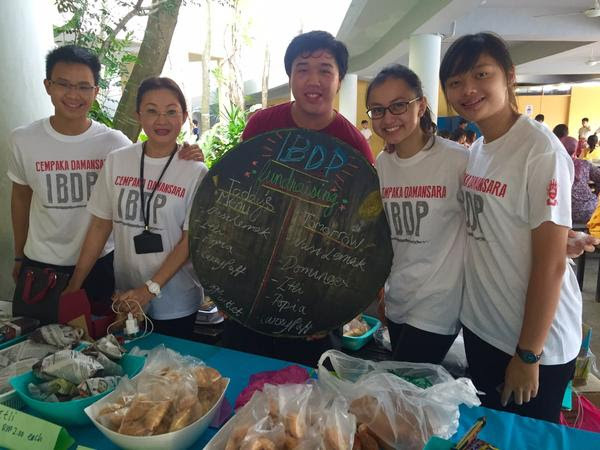 In preparation of this, the IBDP students have raised funds by selling food at their booth for the past 2 months, and from the money collected have proceeded to buy the items to be donated, which they have boxed to be given to the less fortunate on their visit. Cempakans pose as they depart to Mumbai, India. This group comprises of Senior 1 and 2 students, as well as members of Cempaka Damansara’s own Young Journalists’ Club, who will be covering the India trip in their next installation of this article, so keep an eye out! Vern and Lynn Pang, two of the many outstanding students from Cempaka (who credit their academic foundation and enthusiasm for scholastic achievements to their time at Cempaka) made the news in pre-university circles both in the UK and Malaysia. 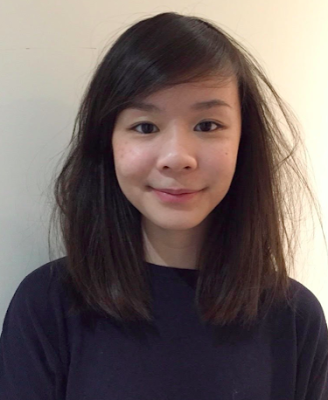 Not only did they get outstanding results in their A Levels but they both were accepted into top universities in the United Kingdom, with Lynn reading law at the University of Cambridge while her sister Vern was accepted for management studies at the prestigious University of London’s London School of Economics and Political Science. Having taught both the sisters English language in 2012/13 in Upper Secondary, the two girls did not merely show remarkable prowess in their academic abilities, but displayed good Cempakan values of trustworthiness, loyalty, kindness and a willingness to be helpful to their peers. Similarly Vern agrees that her time at Cempaka laid the seeds for her success in her studies. Heading for the UK after Cempaka both the twins enrolled in Cardiff Sixth Form College in January 2014. They did the accelerated 6 month course for their AS year and proceeded to complete their A Levels in a record time, acing examinations in subjects such as Mathematics, Economics, Chemistry and Biology. Pang Huey Vern, class of 2013. “I would say that the most important step to doing well in exams is to work hard in school and fully understand and comprehend the learning material,” advises Vern. Time management, which the girls picked up during their years at Cempaka is also proving useful. “It is crucial to me now,” says Lynn while Vern adds that “time management as well as organising your work will also prove to be very helpful especially as exams begin to approach. 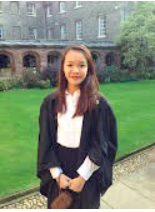 Lynn also adds that many commented on her unusual combination of subjects such as Mathematics, Economics and Chemistry despite knowing she was going to apply to read law. Pang Huey Lynn, class of 2013. “I found it interesting to broaden my scope of knowledge,” she adds. These days both the undergraduates are not just blossoming into serious students but into mature students who are coping with tough workloads and learning responsibilities and balancing their studies well. “I occasionally still meet up with Cempakans studying in the UK just to catch up,” writes Lynn. Cempaka congratulates these two outstanding students and wish them all the best in their undertakings. On Tuesday 3 November, the typically empty North Hall was turned into a hubbub with a myriad of colours seen in every direction. No words can describe the spectacular sight of teachers, primary students and performers donned in vibrant traditional costumes for this year’s Annual Deepavali Assembly. 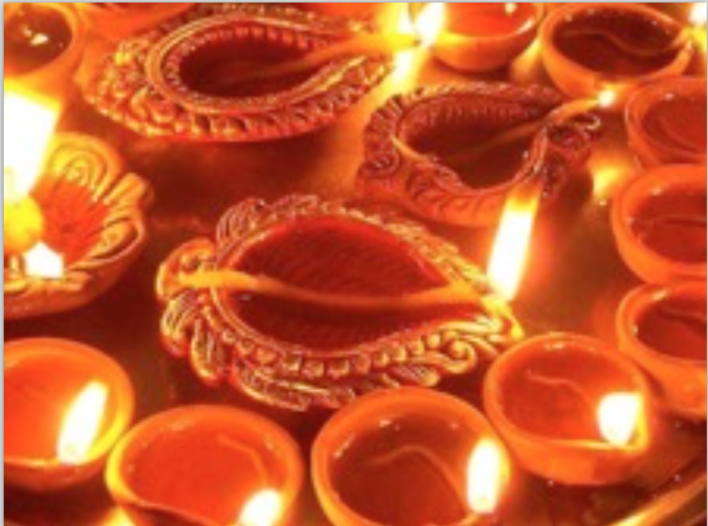 Deepavali, otherwise known as ‘The Festival of Lights’, is an ancient Hindu festival celebrated all around the world, and the Cempaka Damansara school community is no exception! The beauty of it all, however, was not easily achieved, as the glittery candles by the stage proved to be a challenge; even burning a few of the prefects in the process. The lit lamps, however, accompanied by two beautifully designed ‘kolams’ (a floor design created using coloured rice flour), contributed immensely to the already contagious festive ambience in the hall. Finally, at 10.30 sharp, the doors closed and the assembly began. Our emcees, Nithin Sundram and Evelyn Loh, both dressed in stunning traditional Indian garbs, began the event by explaining the history of Deepavali/Diwali. After their brief monologue, the ‘fun part’ of the assembly began; the much-awaited performances by our very own Cempakans. Cempakans have always been known to put on some of the best performances in Malaysia. Since the early days of Cempaka, students have stupefied the audience with an array of remarkable acts. This year was no different. Ranging from percussion to singing to dancing, the Indian-themed performances were entertaining and a delight to all. All Bollywood enthusiasts were pleasantly surprised by the medley of popular Hindi songs sung by the primary choir. Songs such as ‘Kuch Kuch Hota Hai’ and ‘Dola Re Dola’ brought back childhood memories of dancing to the newest Bollywood song releases. The Mayanga dance, presented by the Junior 1 students, was an impressive delivery. The crowd went wild, especially when Adli Zulkefli delivered a robotic head rotation move, a brilliant addition to the breathtaking choreography. A personal favourite included a dance performed by the Cempaka primary students which combined Punjab music with Western pop, giving it an exotic feel of ‘East meets West’. As always, Dato’ Freida concluded the assembly with one of her inspirational speeches. That day was about commemorating Deepavali to the fullest. For Hindus, Deepavali is one of the most important festivals and celebrating it with friends at school adds a personal touch. This annual assembly emphasises the multi-racial acceptance in Cempaka, which makes our school years more memorable. A ‘Happy Deepavali’ to all Hindus and we hope everyone enjoys themselves during this year’s Festival of Lights. Aren’t we all excited for Halloween? It's a great season and a holiday that we should really learn to celebrate. In other countries (predominantly in Europe and America), Halloween is one the most jubilant yet fearful holidays. It’s that time of the year again, when the dozens of young-hearted people dress up with costumes to obtain the only vital thing on a Halloween night - candy. There’s the possibility to get free candy if you put on a red hood. Just a red hood. Boom, you become red riding hood, and you have candy. If only it was that simple in real life. Oh well. Halloween dates back as far as to 2000 years ago, along with the Celts, a culture born in the pre-Roman era. The Celts would carry out certain activities to hide from spirits as they believed that the souls of the dead would always return on the 1st of November. The first formal name this holiday had was ‘All Saints Eve’ - honouring saints and martyrs; as time passed the name gradually changed into All Hallow’s Eve, and finally, as we know it, to Halloween. 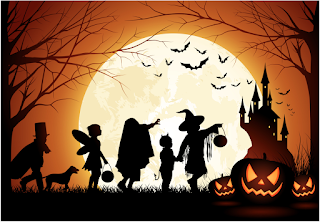 Some of the most visual symbols of Halloween are jack-o’-lanterns, putting on costumes, lighting bonfires and the most general one, trick-or-treating. ‘How are these related to the ancient holiday?’ you may ask. Well, the Celts would hide behind costumes - hiding away from dead, lighting bonfires to scare the dead and such. It wasn't long before a lot of other modern traditions were added to the list, such as the telling of horror stories, the pulling of pranks and the visiting of haunted attractions. So the big question is, should we indulge into Halloween in Malaysia? Of course! In fact, wouldn’t it be radical to have a Halloween event right here in Cempaka School? If kids were to celebrate Halloween, they would definitely be able to get the gears in their minds grinding more, thinking more creatively for the costumes. I mean, these days everyone’s starting to dress more and more intriguing to celebrate Halloween, aren’t they? Sure, you have the regular Disney princesses and witches, but the game really goes up when you know they go the extra mile; supposedly when they start dressing up like The Grudge. Okay, now THAT is absolutely terrifying. Not only that, but kids would learn to be more sociable. They would form alliances when one of the houses are reluctant to give out candy, and maybe ‘trick’ the house. That’s one way to get more friends, to socialise with more trick-or-treaters. On top of all that, you get free candy! You heard me, FREE CANDY. I think by now we can all agree that Halloween is a holiday we should truly embrace more, rejoicing in candy. Wouldn’t that be a great way to end the night? As designers, we strive to achieve sophistication, but as Leonardo da Vinci once mentioned, "Simplicity is the ultimate form of sophistication”. Any emotional designs will be too mainstream, or even cliché, which is why here’s a simple art of us, the YJC Design board. An arduous journey indeed. It has never occurred to us that we will be font of designing. To be honest, we died numerous times until an idea sparked in our minds. Nevertheless, the world’s most burdensome decision is still choosing the best font type. There were times where we downloaded 4 or 5 fonts to make pieces of text stand out, but would always revert to old favourites like Brain Flower and sometimes, the more widely used Helvetica. However, the feeling of achievement when a decent design is completed makes us the happiest people in the world. Adding on to that when you, viewers, notice our designs, it overjoys us. It is your existence that our interests in designing continues to grow. To my team of designers, we thank you too for staying with us. It is because of you that we have a variety of designs. In the previous years, the design board had had the least number of members. Regardless, it is with great pride that we have achieved a feat in expanding our board to more than 10 active members. We would like to dedicate a few shout-outs to the senior designers, our design-mates. The most responsible of them all goes to Gillian Phua! She is in fact the earliest person to submit designs, always. Moreover, her ability to draw by hand truly makes her the epitome of an artistic lady. To Aaron, you are seriously a design lord. We have always been impressed by your unlimited creative works (and relatable), that is always shown when you create Keynote presentation slides. Jord, thanks for agreeing to join the team when we asked you to back in 2014. We saw the glow of potential in you, especially in photoshopping. To all of you, you’ve really made it fun, we had a great time. Do not fret, continued designs and illustrations will be coming your way, just with a slight change. Our two juniors, who will be replacing our dynamic-designer-duo seats, are Joyce Law and Alysha Kyra. To both of you, our best wishes and we hope that the board will continue to grow under your lead. Definitely, we know that that one day where YJC Design is fully recognized around the school, will come. To the current and future designers, never give in, even when inspiration does not strike. Believe that your creativity is boundless. There are endless possibilities in design, but no single definition. Lastly, to whoever is reading this, you have overwhelmed our soul with happiness once again. Therefore, let us take this chance to say to you, “Thank you for everything”. earance and reappearance from time to time. 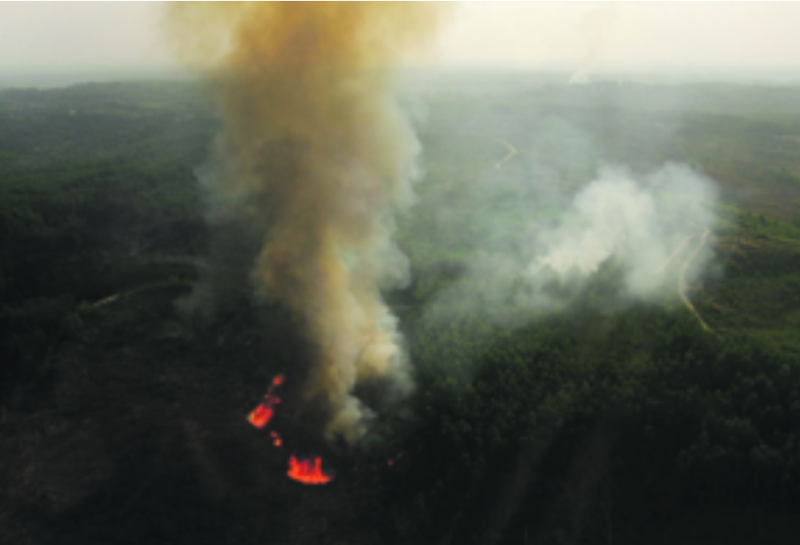 As most of us know, Malaysia and other Southeast Asian countries experience the haze because of the slash-and-burn practices done by Indonesian farmers. Upon harvesting their crops, many Indonesian farmers choose to burn old trees to ash than to cut the trees down. Burning is cheap and has an immediate widespread effect on its surroundings. The downfall of this, however, is the dust and ash accumulated by this procedure, which mixes with the air to form the acrid, yellow-tinged concoction we know as haze. Malaysia is one of the worst affected countries by the haze and we definitely aren’t happy with it. Malaysia's schools have already closed 3 times within a month's time with the possibility of more days closed to come. Students don’t seem to mind as they get a few extra days to relax in the comfort of their homes. Despite the nationwide government school closure, however, some schools remain open. As for Cempaka Schools, we take the matters into our hands with our own home schooling program, Cempaka@Home, via Schoology. Not even ghastly hazes can stop us Cempakans from continuing to learn and study, truly living up to the motto ‘Nothing is impossible’. But more on that on a separate article. Many people have taken precautions and have chosen to wear face masks for the benefit of their health. 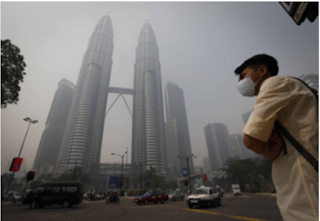 The masks help filter the air for us, and remove the fine particles of dirt and dust. With so many people nationwide wearing them, Malaysia seems to have a new addition of low-budget stormtroopers roaming around the country. Many health-conscious parents give their children these masks but the kids usually don’t like wearing them as many seem visually unappealing. Even so, these masks are an extremely useful device to us at times like these. The random occurrence of the haze throughout these few months has left many wondering if and when it will end. As of the 4th of October, 2015, the highest API (Air Pollution Index) reading recorded by Malaysian API detection devices this year has been a record 308* (hazardous) in Shah Alam,Selangor. Despite being designed to be accurate, many believe that the API electronics detect the air pollutant levels inaccurately. Malaysia is really unlucky for its bad weather. But whether it’s the heavy thunderstorms, the steaming hot sun or the increasingly common smoky haze, we all still manage to pull through. We can overcome anything, and as the old saying goes; when the going gets tough, the tough gets going. It's that time of the year again! The festival of lights; a time to sing, dance and have fun! Every year, this festival is celebrated with joy and excitement, not only to Hindus but to everyone around them as well. The Festival of Lights is known in two names: ‘Deepavali’, for the Southern Hindus, and ‘Diwali’, for the Northern Hindus. Deepavali originates from the word ‘Deepam’, which means light, whereas Diwali comes from ‘Diwa’ which also means lights. Many families all over the world are getting ready, buying new Indian bling or clothes, their houses decked with bright and colourful lights all around. Why do people celebrate this joyous festival? Well, relating to the meaning of the two names, it is mainly to symbolise the victory of light over darkness and the empowerment over evil. This is a great way to show strength and courage in unity and that is when many people come together and light their oil lamps and candles around their houses in unison. The beauty of this festival is that it is celebrated by people of all ages. The little children will dress up in their gaudy outfits, play with the blazing sparklers and dance around the sparks. 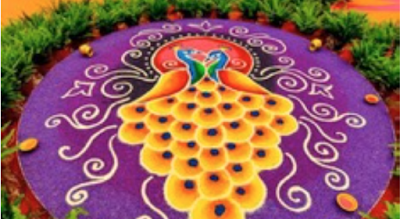 Many families like to prepare a ‘kolam’, which is a form of drawing. This can be done using colourful rice, chalk or flour. It is believed that these beautiful and unique drawings bring prosperity the homes of those who practice this. There are many other rituals and traditions performed during the celebration of Deepavali or Diwali done together with family and friends, but they all have one thing in common. All of them show that no matter what, if we all come together and help each other, there is nothing that cannot be achieved and we will always be able to surpass any barriers in our path. 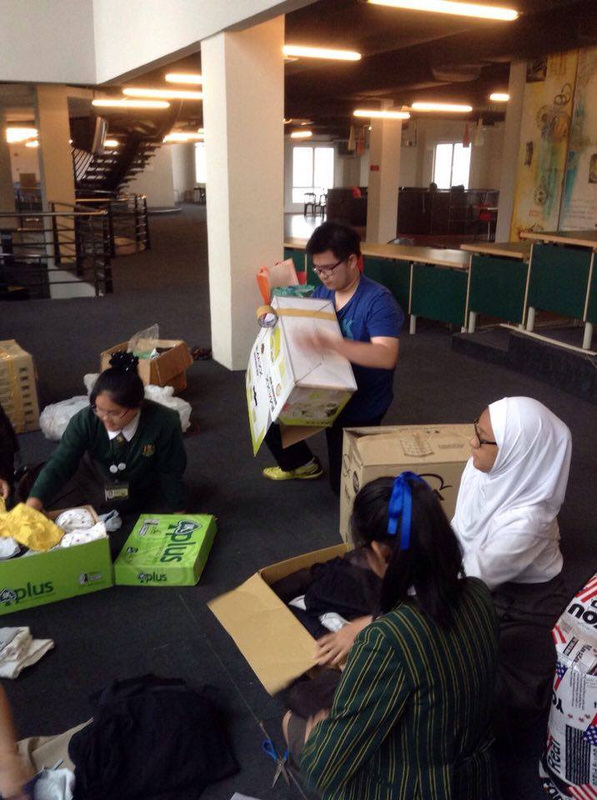 Cempaka Schools never fails to help students end their year the right way. They had successfully organised programs to help Cempakans ease their stress before the start of a new semester whilst providing unforgettable knowledge to grasp on and never let go. In the year 2014, Cempaka Schools had pulled off one of the best educational trip and I am eternally grateful to have stolen this opportunity to visit the land of the rising sun, Japan. A sea of grey flooded the airport on a Tuesday night as Cempakans arrived the Kuala Lumpur International Airport. Wearing a grey shirt that proudly bear the Cempaka name, the amount of students gradually increased. At 7.30pm, the Japan Tour coordinators came forward to introduce themselves and once the ice was broken and flight tickets were distributed, it was time to say our last goodbye. The adventurous journey commenced as soon as our foot touched the Japanese ground. As the citizens of Japan are very keen on punctuality, a coach was already waiting at the front gate of the airport, ready to take a group of excited tourists to their very first destination. Friendly faces and warm smiles greeted us as we reached our first tourist attraction in Fukuoka. Taichiarai Peace Museum is the memorial place of all the brave and very much patriotic pilots as well as victims who had sacrificed themselves for the better good of Japan during the World War II. Literal planes such as the only Type 97 Fighter plane in the world and a Mitsubishi A6M Zero Fighter Plane were also displayed. The next excitement only started after a two-hour bus ride to Nagasaki. Cempakans were brought to a Japanese high school where not only were new friends made, but culture learning as well as the itch relieve to understand the difference between a Malaysia and a Japanese high school. We were told to leave our shoes behind as cleanliness was one of the top priorities in the school building. Once we entered a room, “Welcome to Nagasaki Higashi High School” could be seen on the projector screen. Speeches were exchanged by the principal and the student representatives of both schools. As soon as that was completed, Cempakans showcased a dance which represented the diversities of Malaysia while the Japanese students gave a presentation on their school. We were then given time to interact with the Nagasaki students before we ended our visit with a traditional Japanese tea ceremony. Day three started off right with breakfast and a bus ride to the next tourist attraction also known as the Nagasaki Atomic Bomb Museum. Many of us left with heavy hearts after we were exposed to the amount of suffering the Japanese had endured during the bomb attack at Hiroshima and Nagasaki. The bomb’s explosive force that was powerful enough to wipe out a city in two minutes time and the radioactivity which remained deadly long after the debris settles and the smoke cleared had really took its toll on us. We adjourned to the Nagasaki Peace Park soon after. This particular park was beautifully built in commemoration to the heroes of Japan. Having known that we were without of our parents when we were in Japan, our host fathers and mothers wanted to take their place for this 3 days. We might not be used to traditional living, especially we have to do chores and farming, but everyone learned at least a skill in the end. May it be plucking potatoes, onions, packing up strawberries, or even making mochi sweets. Some of us had the chance to experience the traditional way of a leg hot spring, while eating hard boiled egg and purple sweet potatoes. Even if any of us didn’t learn all these, we now at least know some Japanese (and our host families learned some English). Okay, by any chance someone did not learn all this, he/she must’ve at least learned how to function the advanced high-technology toilet bowl of Japan. As time flies, it was soon time to say goodbye to our beloved host families and depart to our next destination, Kumamoto. Fortunately, we were privileged enough for a ferry ride to Kumamoto and once we’ve reached, we continued our coach ride to one of the most impressive castles in Japan, the Kumamoto Castle. Before actually giving details about the castle, the place, Kumamoto itself is filled with visuals of this one particular black bear with two large red dots on each cheek. It is none other than the mascot of Kumamoto - Kumamon. If you see any Cempakans wearing our Japan Education Trip T-shirt, you can see the Kumamon at the bottom left corner of the back of the shirt. It’s kawaii. This castle consist of two towers, a main tower with six stories and a small tower with four stories. Great views of the castle grounds and surrounding city can also be enjoyed from the top floor of the main tower. Either than that, the history of Kato Kiyomasa and its rulers as well as warriors were laid in this very castle. Our last itinerary before our departure the next day was Tosu Premium Outlet where the main aim here is to shop till you drop. Not even 3 hours of shopping here would be enough. The day all Cempakans dreaded for had finally came. It was time to go back to our motherland, Malaysia. I honestly am eternally grateful and fortunate to have signed up for this educational trip. Many unforgettable memories were created, but mostly importantly, knowledge and experiences were brought back to share. I encourage all other students out there reading this to join Cempaka’s next Educational Trip, may it be any country, you would definitely take memories of happiness and knowledge back home! I would have to say that this Japan Educational Trip 2014 had successfully made it to my top list of “Trips I would never dare to forget”. Nihon ga daisuki! Leadership Evening may not sound like much to many; to a few, however, particularly the Pre-Prefects (Profects), Leadership Evening is one of their most important events. It marks their promotion into Prefectship. After 6 months of probation, Leadership Evening is the end of the long trial, and the beginning of something new. In preparation of our big day we practice the ceremony over and over again. We swear the oath repeatedly, until the words are committed to muscle memory. Some would say it fuses within us and it does not become merely something to be sworn out loud, but a practice, a responsibility, a promise. We receive our new ties, green and red, tied by our Prefects in front of our parents, principals, teachers, and family. Standing alongside our friends, we step up to the front of the stage, where in the shine of the spotlights, we shout our oath. And when we step off the stage, we are prefects, one with the school. After the Prefect ceremony we have the Handing Over Of Duties, where the outgoing Head Prefects and Deputy Head Prefects from both campuses officially hand over their duties and responsibilities to the new Head Prefects and Deputy Head Prefects. This was followed by the speeches of the Head Prefects, Ms. Ruhaani Mahadeva from the Damansara Campus and Master Tan Kian Leong. Standing ovations were commonplace as we stood to honour the hard work and dedication of our Head Prefects. As the Senior Prefects leave, the Junior Prefects take their place, all with different characters and personalities, but together; something new. To the Outgoing Prefects, thank you. We will uphold the Cempaka Damansara Prefectorial Board’s reputation. All of us will miss you, and we hope you had a truly memorable schooling life at Cempaka. The road ahead in life may be an uncertain one, but I certainly hope it will be one filled with good memories and experiences. “Cempaka@Home is good as students haven’t missed out their lessons and student participation was good,” stated Ms. Helen Henry, English teacher of Cempaka Damansara. “It’s very stressful because you have to constantly reload the page, and if your wifi is down you can’t learn anything, and it’s harder to actually learn things when you’re using Cempaka@Home because you can only do assignments or self study,” urged Eg Zhong Ning, Junior 2 Cempaka, Class of 2016. On several occasions in the previous weeks, we, Cempakans, have been subjected to a learning platform known as Cempaka@Home where our teachers either create discussions while students are required to sign in and complete questions before signing out, or conduct conferences over the VLE. This of course has been brought upon us due to the recent haze situation which has since seemed to become a season on its own here in Malaysia. As read in the above statements, there have been many conflicting ideas on this programme which has acted as our next best alternative to school. As a student myself, I have been quite put off by Cempaka@Home as well, although I agree it is the only feasible substitute. It is the only way to pursue our education at a somewhat continuous flow while maintaining our health in this current situation. Even so, some of you may agree that it can be quite frustrating on many different levels. First of all, I am not one who can wake up easily in the morning. I can’t be the only teenager who feels this way. With Cempaka@Home, I don’t feel the rush of panic to get to the bus on time, and admittingly, I tend to sleep in. In fact, I tend to sleep in until the last possible minute before the first lesson, and there are probably others who have slept through the first 2 periods of school. Of course this is completely our own fault, but wouldn’t you stay in bed for that extra 10 minutes in the morning if you could? I, for one, would answer that with a resounding ‘Yes’. When you accidentally click on the wrong course name and wonder why there hasn’t been an update only to realise what you have done and that you are halfway through a period you never signed into. All this because you read the timetable of the wrong day in your class schedule. Oh no! Then there’s the paranoia of having to constantly refresh your page in case there is that one assignment you missed or that one comment you forgot to read. Oh and don’t even get me started on break and lunch times. Having to constantly check the time while you eat to make sure you don’t miss the next class, you almost miss the prefects on canteen duty who act like personal alarm clocks to rush you back to class. Once the stress of all that is over, the actual classroom-style learning and answering questions on the discussions or following lectures over the conference really makes you feel like you are back in school. It gives you the impression that you are doing something productive at home which, let’s be honest, does not happen very often. But, as students, I think we all know one thing: Cempaka@Home can’t give us is the experience of learning with your friends in class which, in school, is really half the fun. I don’t think I am alone when I say I truly do hope the haze clears up soon so we can return back to school. I know this because of the numerous tweets of students annoyed by the closure of school on my Twitter feed. At least this experience has taught us one thing - to enjoy our time in class while we have still got it because we know it won’t last. “9am on a Sunday morning - and I’m in school, of all places” were the sullen thoughts of probably every student at Thinkcon 2015. Forced to cut off our Raya holidays and leave our beloved beds one day too early, Cempakans made their way to the Art Gallery in the Cempaka Cheras campus to represent their house in a board game competition. Sounds boring, doesn’t it? The aura immediately changed as the games began, tensions rose as we eyed down our competitors. Board games were just like any sport and event, and at the end of the day, we al all of us were excited to win. In addition to the usual board games - Settlers of Catan, Qwirkle, Subbuteo Table Soccer and KEVA - a brand new game was introduced: Room 25. This game includes 6 players; 4 prisoners and 2 traitors. The objective is simple, for the prisoners they'd simply have to try and find a way out of a maze by entering unknown rooms, some of which could cost them their life. For the traitors, they'd have to try to keep the prisoners in while at the same time protecting their identity. Easy. Throughout the game, spectators watched as the players negotiated, stabbed each other in the back, walked into rooms like the illusion chamber and the mortal chamber etc, before someone finally succeeded in their task. Considering its brilliant concept and exciting idea, it came to no surprise that although new, Room 25 emerged as one of the most watched games of the day. To kick off the event, players from Rumah Harimau and Rumah Beruang battled it out in Subbuteo Table Soccer - a game where the pitch is table-sized, and miniature football players are flicked to score goals. The excitement however was no different than a real football match despite its small magnitude. Played in singles, doubles, mixed and boy and girls events respectively, Subbuteo Table Soccer was an event not to be missed. Settlers of Catan was my (Natasha’s) game of choice, having played it every Thinkcon. The famous board game is a game of strategy where you start with settlements, gain resources and expand to city, build roads, build an army and to win the game, obtain victory points. Obtaining 10 victory points is the key to winning, and the tensions between past and new players was evident. Ultimately it was a close fight, and begrudgingly (or rather fortunately for all you Harimau players out there), Harimau had won...twice, in both my games. Although it had a much simpler concept that most of the other games - Qwirkle was not to be missed. Careful strategic combinations of colour and shapes decided the winner - which was surprising, considering how it had a much simpler concept compared to the other games. The objective of the game is pretty self-explanatory - achieve a combination of six in a single line, either in the same colour or shape. Unfortunately, much like Scrabble, the game was largely dependent on your luck with your given tiles. This was probably why after two matches against the other three houses, my (Cheryl) points tallied up to a 5, which was exactly the same as all my competitors. It was extremely frustrating, especially after the careful thought given in to each move which, was what made the game so intriguing in the first place. The KEVA planks games came in 4 categories. Skyscraper, building the tallest structure possible. Contraption, where students create a course for a ball bearing to run. Transportation, where this year, students were told to recreate the famous Red Baron World War II plane. Architecture and sculpture were both events where students work together recreate the structure depicted in the picture, namely of the Leaning Tower of Pisa and of an Eagle, as accurately as possible. Students worked in groups of three and performed the above mentioned tasks using only KEVA planks. The delicate structures were judged and the balls were sent tumbling down (or in some cases, off) their tracks, students to watch anxiously on the sidelines. By 5:00pm the games finally came to a close, and peace was restored. The holiday mood was back albeit for a short while until the next day, we relished in the last few moments we had for now. Of course, not to be ignored were the overall standings of Thinkcon 2015. Rumah Helang came in first place, Rumah Seladang following closely, Rumah Beruang in third and Rumah Harimau in fourth place. Ultimately, it was a great effort by all participants to fight for their houses, regardless of the outcome.